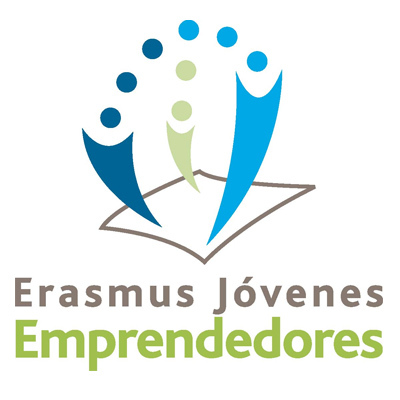 The main goal of the "Quercus Scholarships" project is to promote access to the job market, develop international professional careers and language skills, contributing to the continuous life-long learning and the improvement of positions in the job market for young university graduates from Extremadura through practical training activities of 6 months duration in companies and organisations from 8 European Union countries, where they may develop specific skills and competencies related to their university education. Quercus-FP is a mobility project, funded by the Leonardo da Vinci Community programme and co-funded by the Government of Extremadura, and managed and coordinated by FUNDECYT PCTEX, which is going to offer 20 scholarships for professional practices of 3 months duration in companies and organisations from 2 EU countries. This pilot project is aimed at undergraduates and upper-level undergraduates of Vocational Training of Extremadura. The project aims to improve the employability of young VT graduates, through professional internships that will help them to increase their chances of access to the job market, widen their knowledge and professional skills and improve language skills. The general objectives of this project are to contribute to enhance entrepreneurship, internationalization, networking and competitiveness amongst the Participating Countries, inducing the creation and development of new and stronger SMEs, thru open innovation and know-how exchange. These goals are to be achieved by providing on-the-job training for new entrepreneurs (NEs), spurring knowledge sharing between those and the host entrepreneurs (HEs), as well as promoting joint-ventures, spin-offs and cross-border cooperation. "Development of guidance and counselling instruments in vocational education". GIVET is a Leonardo Partnership formed by a consortium of 10 partner organisations from 8 different countries: Turkey, Italy, Romania, Bulgaria, Latvia, Slovenia, Spain and Poland. The objective of the partnership is to guide students to identify their capabilities and skills and help the organizations establish a guidance methodology. Most of the students who are on the edge of selecting their ways for their future education are unsure and indecisive about which occupation to choose and which school offers the best options. Sometimes, the Vocational Guidance they receive is inadequate; therefore, they don`t know which career opportunities they have in front of them. Any wrong decision that they could take could affect their Life Long Learning Process negatively. To avoid such situations, this project aims to develop a methodology to guide students through a wide range of opportunities for their further Vocational and/or Educational Training.